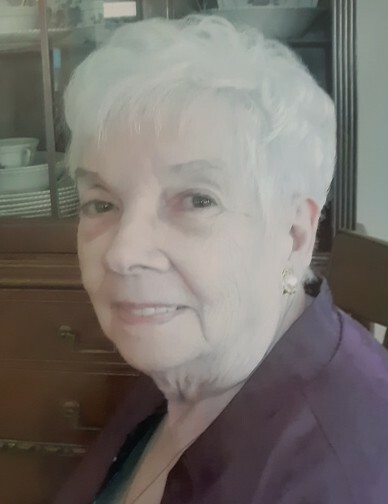 The death of Margaret Jean Covell of Dalhousie, wife of the late John "Jackie" Covell of Amsterdam New York, occurred at the Darlington Manor on Thursday, December 06, 2018 at the age of 85. Born in Campbellton, she was the daughter of the late John and Greta (McRae) Henderson. In addition to her husband John, Margaret was predeceased by siblings Edith (Hamilton), Christine (Zinzeris), John and William "Sandy" Henderson. Margaret is survived by her daughter Cheri Sini of San Bernadino, California; grandchildren Janelle and Desirae; great grandchildren Sebastian, Janai, and Arron as well as many nieces, nephews and cousins throughout Canada and the United States. She is also survived by two sisters Elizabeth Miller of Dalhousie and Martha Goertson of Chiliwack, BC. Margaret “Maggie” and all her family members deeply appreciate the love and excellent care from everyone at the Darlington Manor. To her, the Manor felt like home. A celebration of Margaret's life will be held at a later date. Arrangements are in the care of MacMillan’s Funeral Home, Black Point.